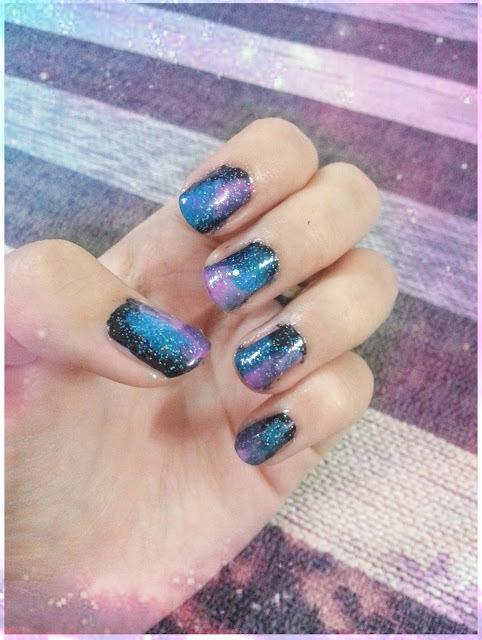 I'm a big fan of galaxy prints, I'm quite sad that there's so few of galaxy items available around KL. I saw a pair of galaxy pants last week but I didn't buy it because it's kinda out of my budget. *boohoo. 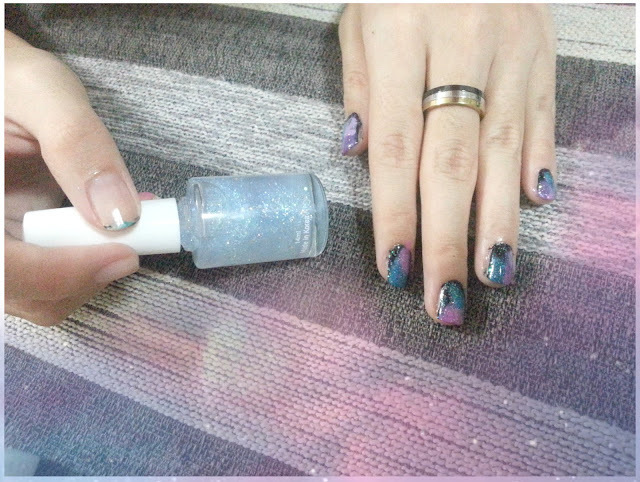 Anyway, there's something 'galaxy' which I can own by doing it myself and CHEAP! Yes, Galaxy nails it is!!! 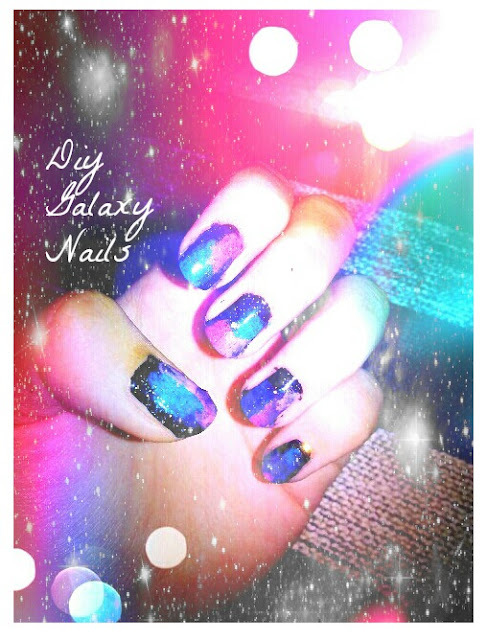 If you have tons of nail polishes in various vibrant colours and don't know what to do with them, galaxy nails is the answer for you! I'll have 3 colours for my galaxies. 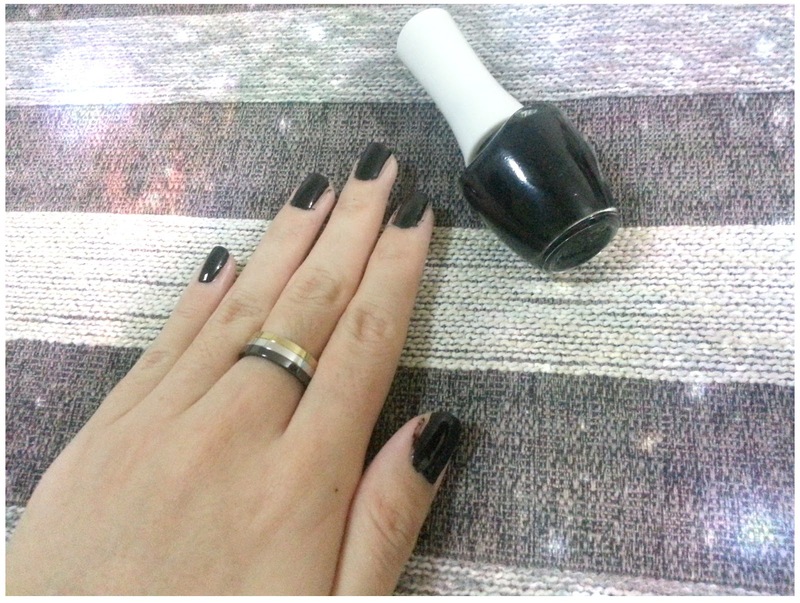 Black colour and clear glitter are MUST! Black colour nail polish will act as the base and clear glitter nail polish will be sparkling stars. 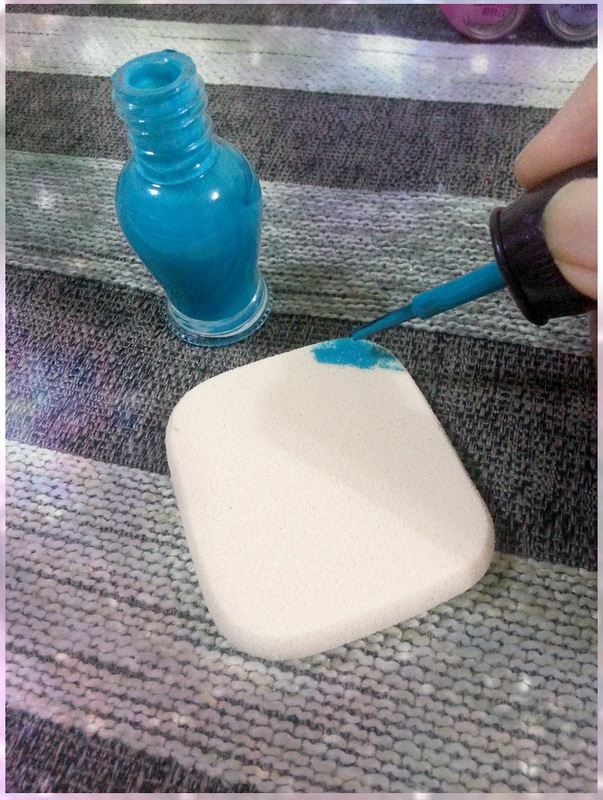 I'm using make-up sponge, you can get these sponge easily at Daiso, RM5 for 10. Le poorly applied black nail colour. Apply colour of your choice on the sponge. I'm not a person that's good in doing things precisely, so most of the time 'free & easy' is the way I'm always seeking for. I find it's exceptionally easy in doing these galaxy nails myself as I can dab the colour anywhere anyhow I like. Upper corner, lower corner, left or right, how also can. LOL. Overlay 2nd and 3rd colours of your choice. You may need to repeat dabbing a few times on the same colour to make the colour pop. 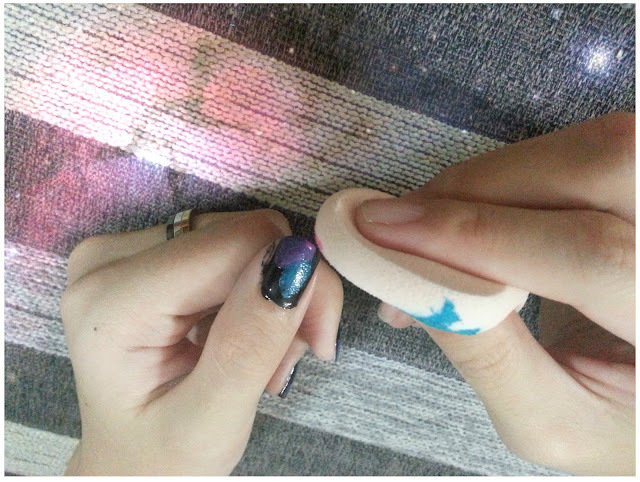 Last step: Apply glitters on your nails. I applied 3 - 4 coats of glitter nail polish on my nails. They really look like stars. Don't over do it, as a lot of glitters may cover the colours that you just dabbed on, then all you can see are just glitters, no other colours.